Topaz Labs has a new 35% off discount coupon code valid on all Topaz products. 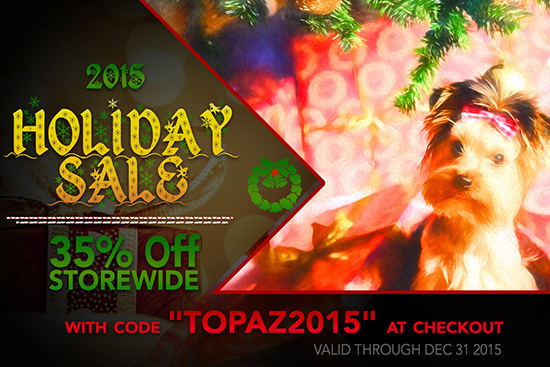 From December 17th through December 31st they are offering 35% off of the entire Topaz store - just use coupon code 'TOPAZ2015' during checkout. This entry was posted in Deals, Topaz Labs. Bookmark the permalink. Trackbacks are closed, but you can post a comment.